Throughout the year, you can count on Branson to host events or festivals to commemorate significant holidays, celebrate the seasons, mark noted events in history, and most especially and respectfully, honor our nation's greatest heroes - our beloved veterans and active duty military. The following is an extensive calendar of events; it's continually updated and includes events as far into future months as information is available to us. 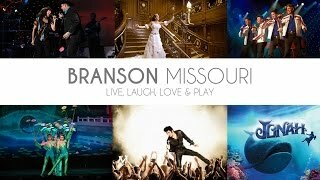 Many Branson visitors build their travel plans around events and festivals, and Branson Tourism Center's Vacation Planning Specialists are happy to find or assemble the best package for you during these times. Once your lodging and activities have been scheduled, Branson Travel Agency will make sure your air travel plans are in place. Now your entire trip is complete!